Climbing Kilimanjaro in 5 days not a good idea, it is a terrible idea. I have been reading a lot of articles on people’s experience on Kilimanjaro and there are some shocking miscalculations people are making. I have climbed Kilimanjaro myself 30+ times. I have climbed in 5,6,7 and 8 days. I was sick as a dog on the 5 day trip and would be a very irresponsible way to manage high altitude treks and climbs. 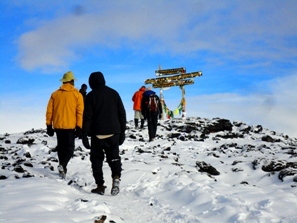 You need a minimum of 8 days for your Kilimanjaro climb. These articles I am reading, all seem to have common strains running through them. They all seem to trying to climb Kilimanjaro in as few days as possible, save some money and all have extremely difficult experiences on the mountain. ‘It was the hardest thing I have ever done‘ not belittling anyone’s experience, but there is a much easier way to climb Kilimanjaro and make the summit and have a safe and enjoyable experience. Why travel around the world to get get sick, and not enjoy the moment you want to have for the rest of your life. You want to enjoy that sunrise on the roof of Africa, stand on top of the highest free standing mountain in the world. You came to experience something special. Take your time and do it the right way. Kilimanjaro in 5 days is a bad idea. 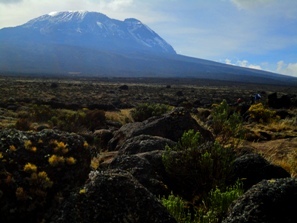 Read some REVIEWS from our Kilimanjaro trips. In 2013, the statistics say 42% of people made it to the summit. How true is this? well nobody knows. Every time I am on Kilimanjaro I usually ask how long people are on the mountain and look at the sign in book and too many people are attempting to summit Kilimanjaro in 5 or 6 days. This means heading to the summit at 19,341 feet in the lower realm of the Death zone at 18,500 feet on the 3rd, 4th or 5th night and back to the gate in one day. This is no way to enjoy the experience climbing Kilimanjaro. Forget about that, it is stupid and a waste of time and money. Getting to the summit in 4/5 days is possible and people can do it. The down side is, you limit your chances of making it to the summit, risk your safety, success and safety of the staff trying to help you. You also come for the Tanzanian and Kilimanjaro experience, you need more time to soak this up. As the statistics show and from experience, the longer you acclimatize to the low levels of oxygen, the better chance you have of making the summit, and lower the risk of getting altitude sickness. I highly recommend the Lemosho route over 8 days. Think about your safety, you are on Kilimanjaro to enjoy the journey, achieve the summit and have one of the best experiences of your life. Just add on the extra days to your trek and it will make all the difference. We really only run 7 and mainly 8 day treks. From experience you need as many days as possible to give you the best possible chance to reaching the summit of Kilimanjaro. 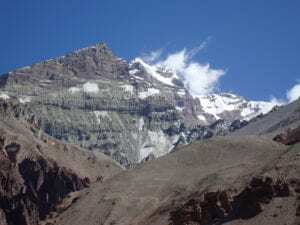 We have also found that the Lemosho route give the best possible chance of making the summit.